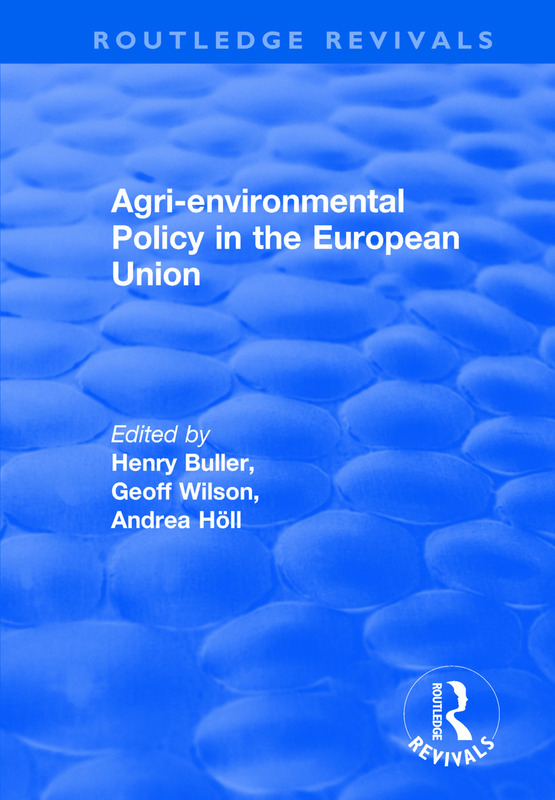 This title was first published in 2000: This volume provides a detailed examination of agri-environmental policy within ten European states. Individual chapters consider the agricultural and environmental policy contexts within each state and examine the range and significance of agri-environmental policy proposed in addition to their spatial and territorial impact, their policy-making implications and their consequences for the structures, institutions and actors of national farming policy both across and within national borders. Drawing from ten national profiles and the data sets provided, the book provides a comparative analysis of implementation trends, filling a gap in the literature on this topic. Taking European legislation as its starting point, the comparative section of the book examines how Member States have responded to EU imperatives in their budgetary commitments, in their implementation strategies and in the policy outputs that result. The study identifies similarities across European nations in the territorial and agricultural focus of agri-environmental policy and draws attention to the alternative. United Kingdom: from agri-environmental policy shaper to policy receiver?